Remove the front door opening seal (A) as needed. Remove the dashboard side cover (A). 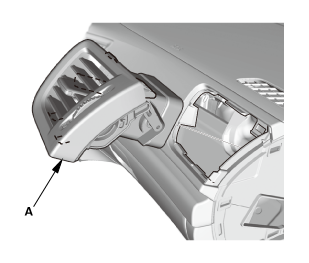 Remove the passenger's outer vent (A). 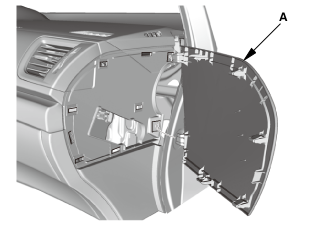 Install the passenger's outer vent (A). 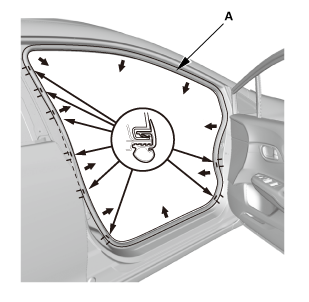 Install the dashboard side cover (A). Install the front door opening seal (A).